When we looked at a bunch of online solicitations the other day, I mentioned that I thought DC Comics's official catalog solicitations were probably just around the corner. Sorry for some repetition, but sure enough, here they are. We already know about the paperback-first releases of the Rebirth series starting in 2017, and also some great, unexpected collections including Superman: The Man of Tomorrow, beginning to collect the "Triangle Titles"; Wonder Woman and the Justice League, Dan Vado's "Judgment Day"-era stories; Justice League: Breakdowns, the end of Keith Giffen and company's "Justice League International/bwa-ha-ha" days; and the start of a full-color collection of Mike Barr's Batman and the Outsiders. This updated list has a couple more good ones -- the first collection of the 1980s post-Crisis on Infinite Earths Ted Kord Blue Beetle series, the second Flash by Mark Waid collection, a post-Zero Hour "Legionnaires" collection, and a collection of Marv Wolfman's Adrian Chase Vigilante series. More details follow the listings, so let's jump in. Note that all of this information is subject to change before publication. Not all links may yet be functional. As I mentioned when this was originally solicited, this includes the first three volumes of the New 52 Wonder Woman series. As before, the solicitation says issues #1-6 without the Rebirth special. One of the few Rebirth collects solicited so far with a title. The first volume of the reprint of the Dennis O'Neil collected Batman: Sword of Azrael #1-4 and issues #1-6 of the series; though I'd like to see these collections be as large as possible, issues #7-12 would finish the "Fallen Angel" storyline, cover the Underworld Unleashed tie-in, and end with the two-part "Angel Rising." Collects the Rebirth special and issues #1-6. No details, but the temporary cover is the cover of Gail Simone's first New 52 issue. Collects Superman #76 and World’s Finest Comics #71-94. As mentioned the other day, collects Brave and the Bold #200, New Teen Titans #37, and issues #1-12 of the regular series. This is said to collect issues #13-18, though the pre-Rebirth series only goes to issue #16; either way this is the series' last collection before Rebirth. There's a hardcover scheduled for December and this appears to be hardcover too, but I'm wondering if it's the paperback edition instead. This listing still has the old contents, Batman #51-52, Annual #4, and a story from Detective Comics #27, rather than the issues, the annual, and the Futures End tie-in and Rebirth special. This should collect Batman 7-12 and the first annual, including the Batman parts of the "Night of the Monster Men" crossover. Complete Knightquest. Say it with me. We want complete Knighquest. Hopefully this will collect the original "Legacy" issues and then some. As Bobby Barrett smartly pointed out on Facebook, making it a Bane-centric book would be pretty cool. Batman #7-8, Nightwing #5-6, and Detective Comics #941-942. Paperback reprint of the hardcover. As discussed the other day, unfortunately this pre-Rebirth collection isn't due out until March 2017. Finally, a collection of the 1980s Blue Beetle series by Len Wein. Issues #1-13 include team-ups with the Question and the Teen Titans, and Legends crossovers. A second collection could complete the series at issue #24 and would see the original Blue Beetle Dan Garrett appear and a Millennium crossover. Issues #1-6 and the Rebirth special. Can't argue with Mike Mignola's art at deluxe size. Speaking of Mike Mignola, this collects Superman: The World Of Krypton, Action Comics Annual #1, Superman #18 and 23, Batman: Legends of the Dark Knight #54, Batman: Gotham Knights #36, Swamp Thing Annual #5, Phantom Stranger #1-4, and more. The three-issue Sarah Vaughn miniseries. Collects Deathstroke: Rebirth and issues #1-6. This has been on and off the schedule for a while now, the third collection Marv Wolfman's Deathstroke, the Terminator. If we actually see it out, it'll collect issues #14-20, which is the Deathstroke parts of the "Total Chaos" crossover plus "Nuclear Winter" (with Arsenal), this series at its best. Reprinting Grant Morrison's Doom Patrol #51-63 and Doom Force Special, previously collected in Magic Bus and Planet Love. Collects the first six issues of the "Young Animal" series. Collects issues #13-16 and the Annual #1. Collects Brotherhood of the Bat, Scar of the Bat, Dark Knight Dynasty, and Batman: Man-Bat. Solicited as issues #71-82, the Annual #6, and Justice League International [sic] Quarterly #10. 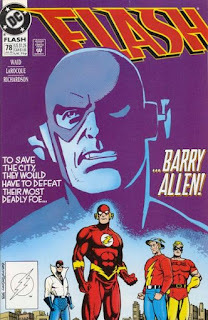 This is, of course, the fan-favorite "Return of Barry Allen" storyline, followed by the start of Mike Wieringo on pencils. Issue #82 is part three of the four-part "Back on Track" storyline, so I wonder if issue #83 might make its way in here too. The Annual is a "Bloodlines" crossover; Justice League Quarterly has a Waid/Flash story. Next time: Impulse! This collection of the Vertigo crossover event has been knocking around for a while but never quite saw the light of day, but maybe this will do it Correction: Paperback reprint of the deluxe edition. Collects the Children's Crusade two-parter plus annuals from Black Orchid, Animal Man, Swamp Thing, Doom Patrol, and Arcana/Books of Magic. Collects Gen 13 #1/2, Gen 13 Vol. 1 #1-5, Gen 13 Vol. 2 #0-7 and Gen 13 Rave. Said to collect issues #19-25, but given that Grayson ends with issue #20, shagmu suggested the other day that this might be issues #17-20, the Annual #3, and maybe Nightwing: Rebirth. We don't know for sure but this is most likely issues #1-6 since the next trade collects issues #7-12. Glad to see the Mike Grell collctions still going strong. This collects issues #54-62 and Grell's run ended with issue #80, so it might be DC can finish it out in two more trades, though I'd be happy to see these continue into the Connor Hawke era. Green Lanterns: Rebirth and issues #1-6. Includes the Rebirth special (also said to be collected in the Green Lantern Corps: Edge of Oblivion trade) and issues #1-6. The six-issue Harley Quinn and Her Gang of Harleys, the six-issue Harley's Little Black Book, and Harley Quinn Vol. 1: Die Laughing (another of the few Rebirth collections to get a title), collecting the Rebirth special and issues #1-6. I'm exceptionally excited about this miniseries; both of these are DC properties, I think, but I can only hope someone's working on a DC/IDW crossover of He-Man/Transformers. Issues #1-6. The solicitation doesn't mention the Rebirth special but I'd be surprised if it wasn't here. Collects issues #1-6 and #7-12 respectively. A deluxe edition of the two three-issue Elseworlds miniseries written and drawn by Alan Davis. Collects issues #175-188, in Mike Carey's run. Is this right, that all of Hellblazer hasn't been collected yet? Collects Justice League of America #77-113, including stories previously found in Crisis on Multiple Earths Vols. 2-3. I'm glad that this is back on the schedule again, just for the completeness of my collection; includes issues #11-16 and the "Divergence" sneak peek. Jim Lee's penciled, un-inked Justice League #1-12 (Origin and Villain's Journey). As discussed earlier, this is Justice League America #53-60 and Justice League Europe #29-36, the final stories from Keith Giffen's bwa-ha-ha era, leading directly into the recent Superman and the Justice League collections. Paperback reprint of the hardcover, which contained Justice League: Gods and Monsters #1-3, Justice League: Gods and Monsters - Superman, Justice League: Gods and Monsters - Batman, and Justice League: Gods and Monsters - Wonder Woman. This is a collection of the pre-Rebirth Bryan Hitch Justice League of America series. The solicitation, however, says it collects issues #1-3, #5-12, and the first annual, which doesn't make much sense; at least, issues #4 is part of the "Power and Glory" storyline. This was on the last round of solicitations and I'm glad it hasn't disappeared entirely. Though there's scant Suicide Squad material here, I can understand DC holding this to come out closer to the movie. Contents still listed as Batman #401, Detective Comics #568, Green Lantern Corps #207, Cosmic Boy #1-4, Justice League of America #259-261, Secret Origins #10 and #14, Fury of Firestorm #55-56, Blue Beetle #9-10, Warlord #114-115, Superman #3, Adventures of Superman #426, and Action Comics #586. This is exciting -- a new collection series of the relaunched Legion of Super-Heroes series after Zero Hour. The title says "Legionnaires" and this collects the Legion and Legionnaries titles, but again, this is the "regular" Legion series after Zero Hour by Mark Waid, Tom Peyer, and Tom McCraw. Collects Legion issues #0 and #62-68 and Legionnaires #0 and #19-24, which is the previous Legion of Super-Heroes: The Beginning of Tomorrow collection plus a couple issues. If this keeps going, the next volume should have the "Future Tense" crossover with Karl Kesel's Superboy. Said to collect issues #1-13 of the Wildstorm series, which as I mentioned before isn't actually "complete," so we'll see what happens here. The Rebirth special and issues #1-6. Said to collect issues #1-6. Paperback reprint of the hardcover. Collects Robin War #1-2, Robin: Son of Batman #7, Grayson #15, Detective Comics #47, We Are Robin #7, Gotham Academy #13, Red Hood/Arsenal #7 and Teen Titans #15. Paperback reprint of hardcover, collecting issues #7-12. • Sheriff of Babylon Vol. 2: Pow. Pow. Pow. 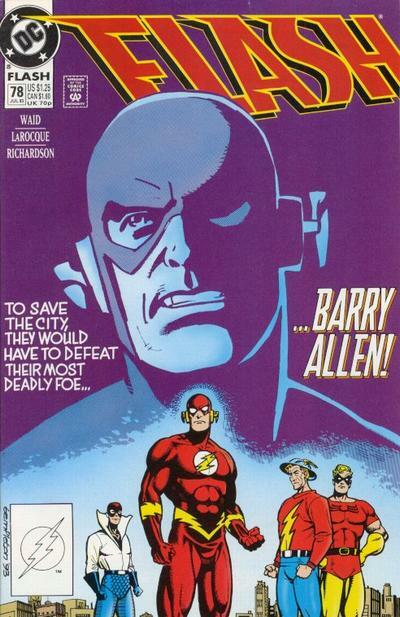 Collects issues #7-12, the end of the series before Rebirth. Continuing the John Ostrander collections, this collects the "Phoenix Gambit" storyline that jumps one year ahead. This collection also sees Oracle Barbara Gordon become an official member of the Squad. I don't know what's collected here but I'm very excited about it. Collects issues #10-20 and the second annual of the Peter David series, which is past Gary Frank and into Leonard Kirk's work, including Silver Banshee and Despero, a Genesis crossover, and Legion of Super-Heroes in the annual. Collects Adventure Comics #397-402 and #404-424, Supergirl #1-11, and Superman Family #165. Collects the two John Byrne Elseworlds miniseries as if Superman and Batman's histories had unfolded in real-time, Superman and Batman: Generations and Generations II. Paperback reprint of the second pre-Rebirth Gene Luen Yang hardcover collection. Paperback reprint of the hardcover, collecting the crossover: Superman #51-52, Batman/Superman #31-32, Superman/Wonder Woman #28-29, and Action Comics #51-52. As discussed earlier, this looks to be the first collection of what would become the Superman "Triangle Titles." Unfortunately this listing is also cut off, so we know it will be Adventures of Superman #445-450 and Superman #23, but not where the trade will end. My guess is it's to Superman #27, collecting the run-up to Superman: Exile. Collects World's Finest Comics #215-216, #221-222, #224, #228, #230, #231, #233, #238, #242, #263 and the infamous Elseworlds 80-Page Giant. Like Generations, all of this is obviously to tie in with the new Super Sons series. The solicitation for the hardcover of this book had it at issues #25-29, omitting the unpublished issues #30-31 that would be included in the Superman: Savage Dawn crossover collection. This paperback listing has issues #25-31, which would be better for those that don't want to buy the full-crossover collection; I hope this is the correct listing. House of Secrets #92 and Swamp Thing #1-25, many of which are previously uncollected. Issue #25 wasn't published at all, so if this is correct it'll be the very first appearance of that. Collects issues #1-12, the Wizard #1/2 issue, and the Teen Titans/Outsiders Secret Files. Breaking down the omnibus, essentially, into paperback volumes. Collects Teen Titans #20-24 and the second annual ahead of Rebirth. This is the collection of the Vigilante: Southland miniseries by Gary Phillips. This, on the other hand, is a collection of the first appearances of Marv Wolfman's Vigilante Adrian Chase. The solicit says New Teen Titans Annual #1, but Vigilante was actually in Annual #2, plus the Vigilante series issues #1-6. This was an exceptionally complex series in which Wolfman explored the morality of being a violent costumed vigilante (Chase was a district attorney by day); this is well worth a collection and I'm hopeful we see additional volumes. Go read my impassioned plea for pre-orders of this book. How can you pass up a collection of Justice League stories than span from Death of Superman to Zero Hour and star the proto-Extreme Justice? Classic 1990s material here needs your support! This ends at George Perez's issue #24, so we're still not past what the original paperbacks or the omnibus collected. This era's Wonder Woman #25-57 remains uncollected, and then also #63 to roundabouts #89. The Rebirth special and issues #1, #3, #5, #7, #9, the half of Greg Rucka's run set in the present. Issues #2, #4, #6, #8 and #10, the half set in the past. The paperback listing, reprinting the hardcover, says only issue #47-52 and not the Rebirth special, though I can't imagine paperback and hardcover would have different contents. Said to be "all of Paul Dini's acclaimed Zatanna stories," so that's at least Bloodspell, Everyday Magic, and the thirteen-issue 2010 series. All right, one more time -- what's on your must-buy list from what's coming up from DC Comics? 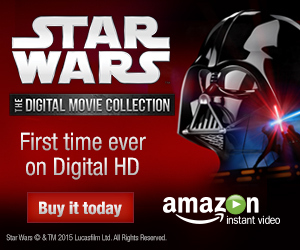 Just out of curiosity, since a number of the Amazon links do not work, where do you get this information? I like to be able to check what's actually listed in the contents and can't always do so. Thanks! I'm assuming the Justice League Power and Glory hardcover meant to omit issue 5, not issue 4. Issue 5 was by Matt Kindt and was basically an inventory issue once the series started becoming really late, not part of the Power and Glory story proper. Yeah, that fill-in issue by Matt Kindt and Rob Williams should be collected with the second half of the recent Martian Manhunter series, since it's all about that character. "This collection of the Vertigo crossover event has been knocking around for a while but never quite saw the light of day, but maybe this will do it." Eh? It came out. This is just the paperback version of the deluxe book that came out a little while ago. I know cause I have it right here on the shelf. Legionnaires is interesting and raises hopes for an actual Rebirthed legion book by that time. "... and leave out Power Company." But that'd be half the attraction of that volume for me! Power Company was 18 issues plus 6 specials, which would be pushing a single trade by itself let alone as part one of these kinds of author miscelany collections. Love to see it in trade, but unless someone decides Skyrocket should have a major summer blockbuster someday, pretty unlikely. Green Arrow Vol. 8 should be much further ahead than issues #53-62, since Vol. 6 will collect #39-50. It seems to me that Vol. 9 could be the last one. Likewise, issue #82 seems like an odd stopping point for The Flash by Mark Waid Book Two, since it's the penultimate chapter of "Back on Track". I think it should end with either #83 or #85, which wraps up the Razer two-parter. The listings for volumes 6 and 7 of the Grell GA collections have been changed. The contents of volume 6 are now for just issues #39-45 and volume 7 collects #46-53. So volume 8 picking up with #54 fits with that layout. It looks like we have at least 2 more GA collections on the way, possibly 3 depending on how they breakdown the issues and if they include the Bloodlines GA Annual that Grell wrote. Issue #54 is the end of a two-parter, so it makes no sense for volume 8 to pick up with it. And the listings for volume 6 and 7 you're mentioning aren't the updated ones. While Amazon has yet to correct volume 6's contents, the page count they're listing (328) is consistent with what DC's August solicitations said: that it will collect issues #39-50. Likewise, I think we'll have to wait for volume 7 to be actually solicited in order to be sure of what its contents will be. Just checked again today and the listing for volume 6 has NOW been updated to show what you listed, #39-50. I am saddened by what appears to be the lack of continuation of the Chuck Dixon Nightwing and Birds of Prey trades. We already seemed to have lost the Batman New Gotham (Greg Rucka's Detective issues). Also no Sandman Mystery Theatre Book Two. I am still happy for more Mike Grell Green Arrow and Ostrander Suicide Squad, but still a little hurt. Sandman Mystery Theatre book 2 is currently solicited for January 3, according to Amazon. That's about 6 months after volume 1's release date, so it looks like Vertigo is taking it slow *again* with SMT but at least volume 2 IS solicited! So New Gotham did get Cancelled? The Batman: New Gotham TPB was never solicited in first place, even though it showed up in an earlier catalog. I was hoping to see it in the new catalog, but no dice. As I said before, my hope is that it will be replaced by a series of New Gotham TPBs that will collect stories from all main Batman titles that were set between NML and Bruce Wayne: Murderer, but I guess there's also the possibility that that never-solicited TPB will show up again as "Batman by Greg Rucka Vol. 1". I don't miss the Nightwing and Birds of Prey trades quite as much because I read those the first time, and -- love 'em as I do -- for my current tastes the Grell/Green Arrow and Ostrander/Suicide Squad books are better. But of course ultimately I'm hoping both the Nightwing and Birds trades get into the uncollected issues. I miss Spectre & MM by Ostrander. I jumped to buy Vols 1 & 2 of both when they came out. And no Vol 3 in sight. Do we know what's actually collected in "Books of Magic Book One"? The Amazon link is not working and I can't find it with an independent search. Thanks! Edelweiss's website says it will collect The Books of Magic #1-4 and Arcana: The Books of Magic Annual, which seems like too little to me. I also wanted to know this and also went to look on edelweiss. They reprinted the original Books of Magic mini-series in 2014 (the 1993 one is also still in print). The Arcana: The Books of Magic Annual would make this the reprint of the first book of the ongoing Vertigo series (The Books of Magic: Bindings) that followed the mini series. That one is out off print atm, so it would be nice to see a new edition of it. But this is only speculation of the info on edelweiss. Wow, definitely the next Grell GA, the Legionnaires book, Flash by Mark Waid, Zatanna, some of that Vertigo stuff. Not a whole lot on here I won't get. Doom Patrol: The Silver Age!! Cool. Absolutely no complaints about re-collecting the (I assume out-of-print) Exile trade. Excited to see where this goes. I was wondering about something similar: do you know the scope of the "man of tomorrow" series? Seems like this picks off right where "Man of steel vol 1-9" leaves of. Do you think we'll eventually get all major storylines published in TPB form? It doesn't make sense to re-print some of the "still in print" storylines, but others are pretty hard to get, and it would be cool to have them collected! The Children's Crusade listing has to be corrected again. It is a reprint of the Deluxe Edition, but that book didn't include the crossover annuals. Apparently nobody liked how the annuals advanced the story, so a new 64 page middle chapter was created by Toby Litt and Peter Gross. This replaces the annuals and bridges the two Gaiman authored bookend issues. Kinda works. There is some good stuff here and it's nice that this "lost" Gaiman work is back in print. Still sort of a mess, though. IIRC, the Animal Man annual was in one of the TPBs. I don't think any of the other annuals were ever reprinted. The Arcana Annual (Books of Magic annual) of the Children's Crusade was reprinted in a trade collecting a spin-off mini-series of Books of Magic called Books of Faerie. Edelweiss has already marked the Silver Age Supergirl trade has cancelled. Which probably means they need to reprise it as possibly change the contents. But hopefully Amazon will stay locked in at $25 when it comes back around. I've been reading your solicitation breakdowns for ten years now. They've never looked this good. Bravo DC. Ten years? Wow! Thanks for sticking around! Love the breakdowns, but where are the rebirth Hardcovers? Do you think they will release after the TPB releases? As a collector of collected editions I would greatly prefer the HC, if there is one. Should I wait or do you think they have done away with the Hardcovers for the ongoing titles altogether? Doesn't make sense to me as they just solicited a Rebirth hardcover for a single floppy, very confused. I read somewhere recently (can't remember where; it might have even been in a different Collected Editions thread) that Didio indicated that they will release trade paperback collections first, because that's where the bulk of their collection sales are, and the hardcovers will come later. Thank you so much for the insight! Just awesome, going to be weird waiting for the hardcover solicit to place my amazon orders. Now I know what a paperback collector felt like! Oh boy Flash & Legion by Waid, deluxe Cosmic Oddessy, Zatanna by Dini, Superman&Batman Generations and Geoff Johns Teen Titans run broken down in books I can hold rather then that unwieldly omnibus! Wow, Blue Beetle from the '80s! In currently the recent Showcase volume of that entire series by Wein. It's great fun with a few points that lag slightly. I wish I'd known DC would release the series in color in trades, I would have waited for that. These solicits are amazing amd I'm only saddened by the fact that I won't be able to afford to get as many of them as if like. Zatanna is a definite must for me, and Batman and the Outsiders, Flash by Waid, and Silver Age Doom Patrol (!!) are mighty tempting also. Sort for the typos - I'm currently reading that Blue Beetle series in the Showcase volume, I meant to type. Hate to be a stick in the mud, but I've never been enamored with Zatanna as a character, and moreover Dini's obsession with her. In all seriousness, what's the attraction? I don't know much about the obsession part, but I would think Dini just wrote a good Zatanna. Not read his Bloodspell...but I liked his recent series pre Flashpoint. Zatanna by Dini sounds amazing. Its a shame I went far and wide to hunt down the two trades for the 2010-11 series, and have Blood spell in HC. I wonder what else it would contain, otherwise it wouldn't be worth it for me. Very happy to see it back in print, and I hope others will pick it up. I am fine upgrading from the B&W showcases to new editions in color & with better quality paper. First volume of Azrael has #7 (and the story from Showcase). Second volume shouldn't have less than first, regardless of Contagion (they'll just include parts from Azrael with no recap like they always do). I think there's an Annual somewhere there too. Batman: Legacy will follow up from Contagion and have the remaining issues from between the cross-overs (Detective #697-699, Catwoman #33-35, however many Robin there's left) and the Legacy itself. And maybe Batman: Bane epilogue. The Bane mini-series from two years later also is a maybe. The Dini run is fantastic and creates a rich and evocative world for Zee. It's eerie, fun, fast paced, and has some humor too. Bloodspell is also flat out awesome, I highly recommend that one too. I've always liked the character and I suppose it's a mixture of things: the magic elements (I cop to loving her saying spells backwards, just a fun character quirk), her ties to other magic/mystic characters at DC, and let's not forget she's a fetching creature, to boot. I have a soft spot for a lot of DC's underappreciated characters (Hawkman and Doctor Fate, I'm talking about you), so I really don't know why. I like underdogs? I dunno. All I know is Zatanna rocks. I'm sure someone has answered this ahead of me, but the the only issue of Hellblazer that has never been collected is issue 229. Previously huge chunks of the Paul Jenkins run was uncollected, but that's been fixed in the past few years with the chronologically numbered trades that are now solicited up through vol. 16. Does anybody know why Generations will only collection parts 1&2 when there's also a part 3 which was released?